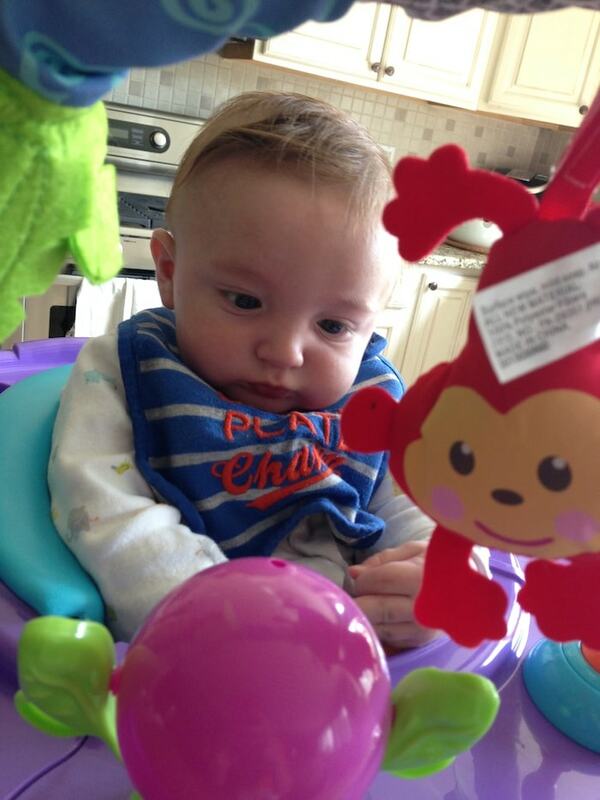 We’ve finally gotten to the stage where Caleb can sit up and interact with toys. Well, sort of. Right now he is just analyzing things and occasionally swatting… but I know we are close! I whipped out my Summer Infant Super Seat Deluxe: Island Giggles this weekend and it was a success. We’ve been using it ever since! Here’s the deal. 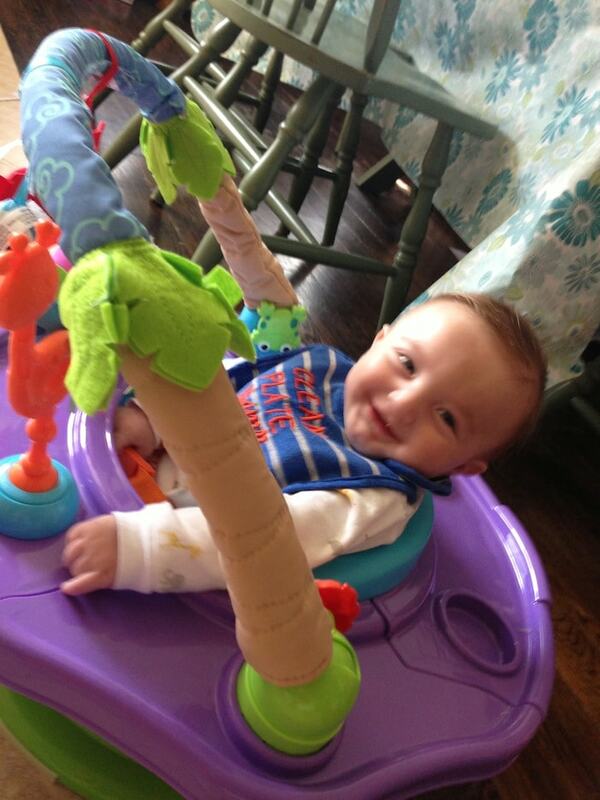 The Super Seat Deluxe: Island Giggles offers 360 degrees of floor time activity fun & booster in one. It’s one of those “grow with you” toys. Right now, it’s an activity center. 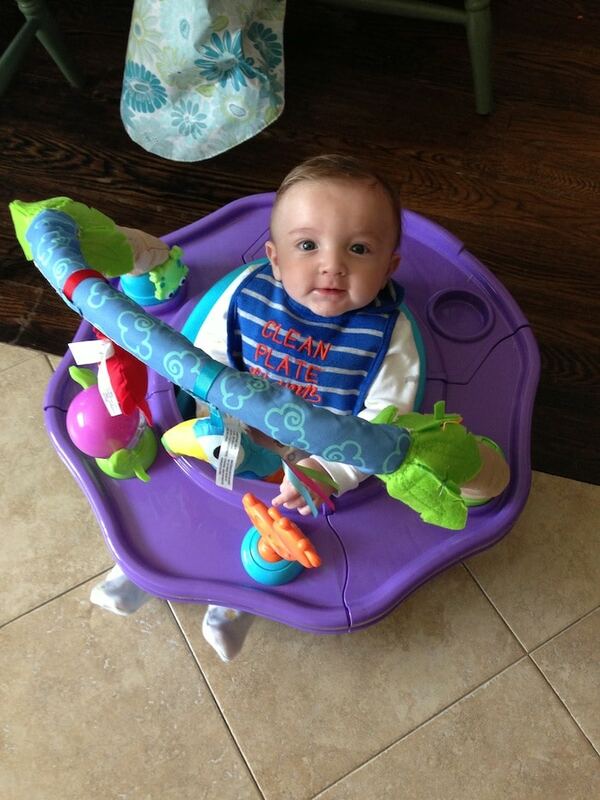 But when Caleb gets a bit bigger, we can lose the tray and just use the booster seat which is really great. Two in one? YES PLEASE. A feature I particularly love about the Island Giggles seat is the toybar. You can push it as far or as close to your baby as you’d like. So, if Caleb is starting to look a bit overwhelmed, I just move the bar behind him. GREAT feature. The tray swivels too. 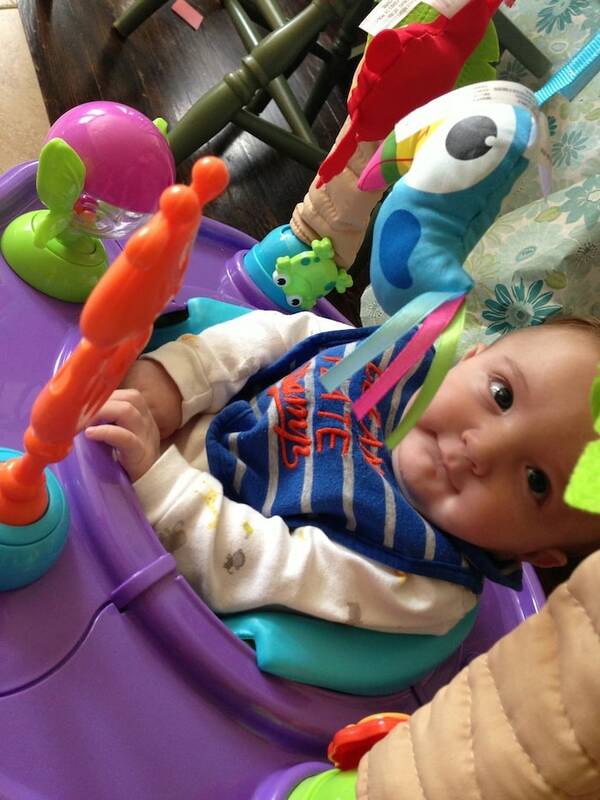 So, if you want to have the toys can come with the seat in front of your baby you can. OR if you want to turn the tray around and give your little one some snacks or toys of your own – you can opt for a clear tray. Up to you. Smart features! 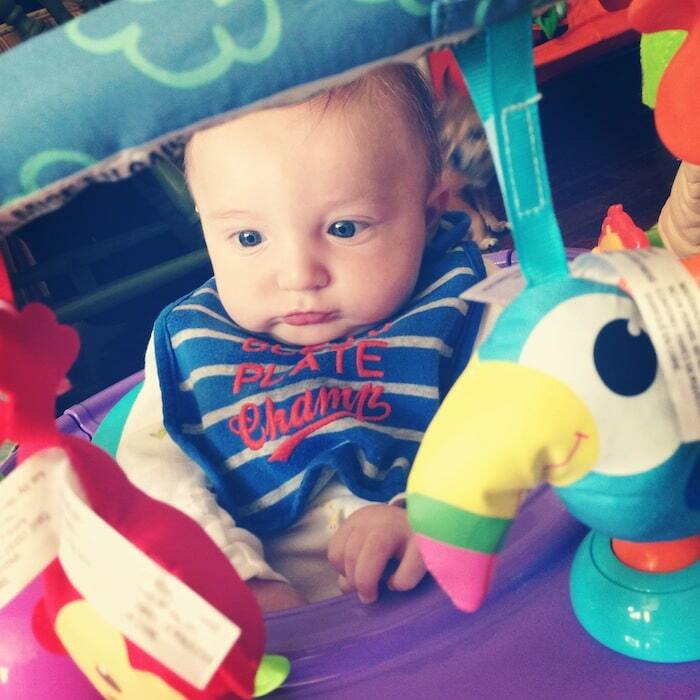 Baby toys / gear / activity centers have really come far since my last baby. 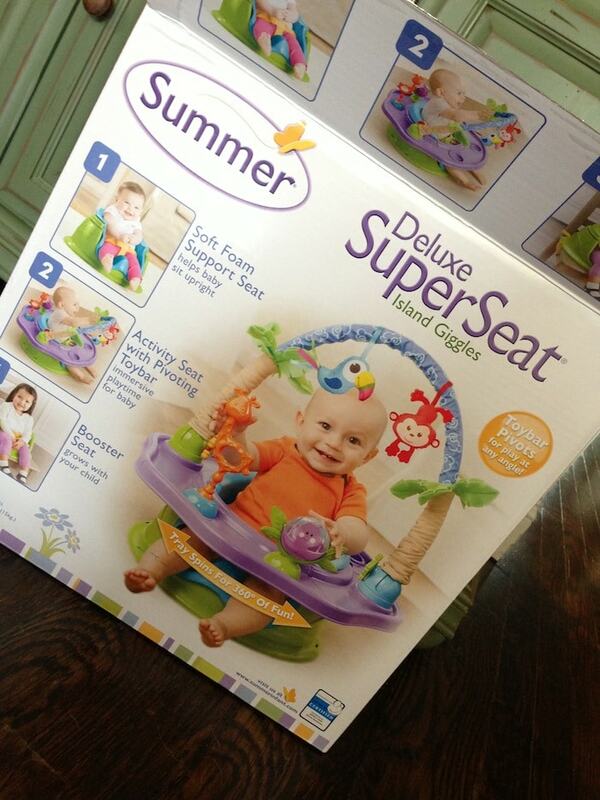 The Summer Infant Island Giggles Super Activity Fun & Booster in One Seat retails online for $49.99.